Since so much of the hiring process happens in that hazy area called cyber space, it may seem as if there is no personal interaction involved in a job search. Nearly all employers encourage applicants to submit their information online and what was once the norm – dropping by a company’s office to deliver a resume in person – almost seems strange nowadays. This sea change in the employment process may lead some to believe that face-to-face networking is no longer needed or no longer possible. On the contrary, networking in person is just as important as it always was and perhaps even more so in this current age. According to Alison Doyle at About.com, “more than 80% of job seekers say that their network has helped in their job search” and the National Association of Colleges and Employers (NACE) states that “70–80 percent of jobs are not posted on job sites and can only be accessed through networking.” Understanding the importance of networking and knowing how to actually go about it are two very different things, especially if you are an introvert or a very shy person, so let’s examine some tips and strategies to help even the most reserved among us build, maintain, and utilize a professional network to land a new job. 1. Don’t Wait to Network: Many folks postpone networking until they need it most. They wait until they’ve been laid off or are desperately seeking a new position to reach out to their peers, former supervisors, extended family members, and friends. This is essentially a selfish act. Professional networks do not exist as a resource for only one job seeker, they’re called “networks” for a reason; they’re interconnected, ongoing, and symbiotic. Professional networks are based on trust and community and are not able to be built in a day. For that reason, you should never wait to network. Make it a part of daily life to maintain contact with your network so that it will be there for you when you need it. 2. Get Organized and Make a Plan: Building a network from scratch, or expanding an existing one, can be a difficult and sometimes awkward endeavor entailing many meet and greets, handshakes, introductions, and simple conversations. Because a professional network is based on trust, which takes time to develop, it pays to organize yourself and create a plan of action so that you don’t end up spinning your wheels or wasting your time at events that won’t pay off in the long run. Start with the end goal in mind and work from there, regardless of whether that is finding a new position, progressing within your company, and making a drastic career change. 3. Attend Events and Join Teams: Networking events and schmoozing with a large group of people comes easier to some folks than others. This aspect of networking can be very difficult for introverted individuals, but there is no replacement for face-to-face interaction and “working the room.” The type of gathering will of course alter your strategy and behavior; it would be uncouth to bring tons of resumes to a social event but unproductive to leave them at home during a job fair. The important thing is to put yourself out there, make new contacts, and (if the moment is right) hand out business cards and resumes. If you are a shy individual, start small and go to an event with the goal of introducing yourself or striking up a conversation with 2–3 people and build from there. If you’re the outgoing type, you can prepare by organizing your thoughts and taking stock of the qualifications/attributes you want a new contact to know. 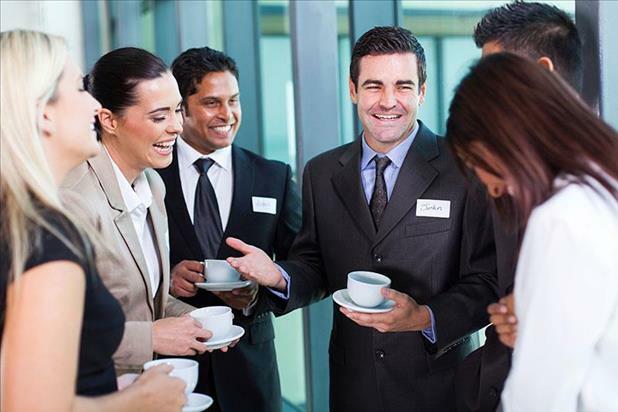 Aside from the obvious avenues of social gatherings and job fairs, other great networking opportunities include industry-specific conferences, non-profit organization meetings, alumni get-togethers, and events at social clubs such as the Freemasons, Knights of Columbus, or Rotary International. If you’re looking to take the next step within the organization you already work for, consider joining a new committee or the company softball team so that you can be exposed to a different set of contacts. 4. Follow Up: As mentioned earlier, your professional network doesn’t exist solely for your benefit. In order to have a robust network, you need to maintain your database of contacts and that means following up with them on a regular basis so that you don’t lose touch. After establishing initial contact with someone, send them a note referencing the conversation and, depending upon the subject that was discussed, checking in to see if there is anything you can help them with. If the contact is actively supporting you in your job search or knows a little bit about your situation, provide them with updates regarding your progress and the ways in which their insight has been of assistance.